Go HERE for more photos by Inae Bloom and tag yourself and your friends! Saturday night held the debut of the largest show comprised of cat-inspired art with the opening reception for the aptly titled Cat Art Show Los Angeles at 101/exhibit in Hollywood. 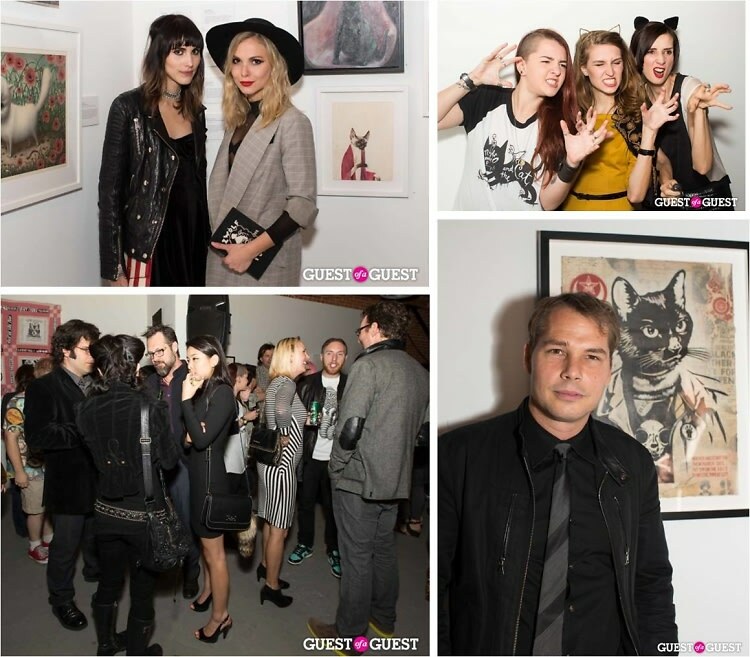 Curated by journalist Susan Michals and Daniel Salin, the event displayed the works of over 60 artists, including Shepard Fairey, Mark Ryden, Tracey Emin and Tim Biskup, where guests got a first look at the pieces exploring the feline's form and psychology.